So its a Friday night and its raining, you don’t want to go out to the bars or the clubs, that’s understandable. But lets say you’re new to playing beer games. Maybe you’ve check out my Mexican Dice game or Beer Pong, but you don’t have dice or ping pong balls, BUT you have a deck of playing cards. Then you’re in luck, because that means you can play Kings. Kings is a simple card-rule drinking game, that’s played differently almost everywhere you go. To play Kings, you just need a deck of cards, a small group of people (at least 4), and some beer. Everyone sits in a circle, either around a table or on the floor. You can either shuffle the deck and put the deck in the middle or have a messy pile with all the cards face down. You usually put one unopened beer in the middle of everyone or near the deck, Ill explain this in a second. So to play, each person draws one card at a time. Each card has a different meaning. After you draw a card and complete the action, the person who drew the card has to carefully slip the card under the tab of the unopened beer in the middle. If a person breaks the seal of the beer, then that person has to drink that beer next. You dont have to drink it right away, but you have to drink it. Here is the breakdown of what you do when a card is drawn. Two: That player who drew the card picks someone else to drink two seconds worth of beer. Three: That player who drew the card has to drink three seconds worth of beer. Four: All ladies take a drink of beer. Five: Jive: When someone draws a 5 card, that person does a small dance move with your hands. Then the person to your left has to mimic the previous person’s dance then make their own. Kind of like “memory,” you have to keep remembering everyone’s dance moves. If you mess up or take too long, you lose and have to drink. Seven: Heaven! When someone picks a 7, everyone has to throw both hands in the air, like you’re reaching for the heavens, the last person to put their hands up has to drink. Nine: Rhyme. Whoever drew the 9, says a rhyming word (So no Orange), and the person to the left has to rhyme with the previous word. (Red, bed, said) Whoever cant come up with a new rhyme word or repeats a previously said word loses and has to drink. Ten: Categories: This is one of my favorite categories. Whoever draws the card Picks a category of something, (Car Brands, Countries, Bands that Start with the letter B, etc) Whoever cant come up with a new answer to the category or says a repeated answer loses and has to drink. Jack: “Never have I ever.” Another fun mini-game within Kings. Each person hold up 3 or 5 fingers (group decides how many to play with it). And you play never have I ever. To Play Never have I ever, you start with the person who drew the card and they truthfully say something they’ve never done. IF someone else playing has done said thing, then they put down a finger. Who ever goes out first has to drink. Queen: Question Master. 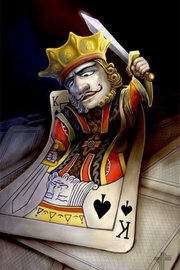 To play Question Master, (QM) who ever drew the Queen becomes the Question Master. Whenever the QM asks another player a question and they answer the question with a non-questioned response then they have to drink. But if you answer the QM’s question with another question, then the QM drinks. The person who draws the Queen is the QM until someone else draws a Queen. King: The Rule Maker. Another interesting card that has near endless possibilities. If a player draws a King, then they literally get to make a rule that everyone has to follow for the rest of the game. (example: the rule maker can make a rule saying that you have to high five someone before you drink, but like I said rules can be as wild as the person who makes them.) When another player draws a King, they can either make another rule or abolish an older rule. Ace: Waterfall. The Coup de grâce of playing Kings. When someone draws and Ace, he or she has to ask a common knowldge question to the person to thier left and right. Who ever answers first, the waterfall starts in that direction. Everyone starts drinking at the same time and the person who drew the Ace is the first person allowed to stop drinking. After that person stops then each person in order determined by who answered the question correctly gets to stop drinking next. Basically if you answer the question wrong or not fast enough, you should be the last person to be drinking. There really is no winners in Kings, everyone just loses some brain cells. (Drink responsibly). But the game is over when you run out of cards. Like all drinking games there are MANY variations to what each card means, this is just how I play Kings. If you want to see Kings being played by my good friend Bummy, check out my slide show. In this new installment of Beer Games With Bummy, Bummy teaches you how to play beer pong. Now be nice, I know hes not the best face for the internet, but gosh darn it he tried his best. Don’t forget to comment, and enjoy. Beer Games With Bummy – Beer Pong from Brendan Packert on Vimeo. In a city dominated by dance clubs, its easy to miss the hole in the wall bars. I don’t have anything against hole in the wall bars, in fact I prefer them. So when I went to Tubby’s Tavern for the first time it felt like I was at home. I enjoy the small more intimate bars, and Tubby’s definitely fits the bill. Tubby’s might hold the record for being one of the skinniest bars in BG, but even in the cramped space I enjoyed my self. The music at Tubby’s was the first thing that peaked my interest. Most bars and clubs will only play top 40 hits and hip hop. Now that music is fine if you want to get your groove on on the dance floor, but I like more relaxing music when I’m drinking. And I’m not taking smooth jazz or anything like that, but Tubby’s Tavern was playing some AMAZING 90’s alternative music. (That’s my favorite genre of music). But Tubby’s is more than just the music, they also have two big screen TVs that usually show sporting events. I was watching the NHL playoffs when I went. But in the back room they have 3 pool tables. Along with the bar, there a probably seven or eight tables on the other side of the bar. It was kind of an off night when I went. There was maybe only a dozen other people there, but from what I hear the bar can get pretty packed. As for their drink selection, Tubby’s has over 8 different kinds of whiskey on stock. They have a decent selection of beer on tap and in bottles, and if you buy their 32oz draft beer special, you get to keep the mug the beer comes in. It never hurts to get a souvenir from a bar that’s not just some stamp on the back of your hand or a fake phone number. But I really enjoyed their Jello Shots. For just a buck, (and believe me the tab starts to add up), you can have your choice of 5 or 6 different flavors of jello shots. I had a Blueberry, Orange, and Grape jello shot and they weren’t half bad. You know for a buck I would have wanted a little more vodka in it, but beggars cant be choosers. 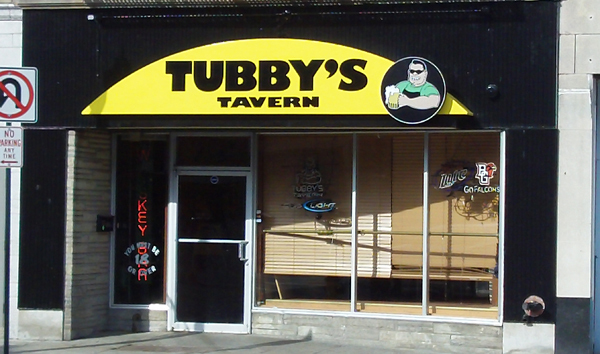 Overall, Tubby’s is a smaller bar that you don’t have to jockey for standing room like some of the other clubs. I know its not gonna be like each weekend, but I only have high praise for Tuuby’s Tavern. If you’ve ever spent any time at Bowling Green’s Bowen-Thompson Student Union, you know the union has a lot to offer. There’s the bookstore, a bank, fast food, Starbucks, computer labs, and a huge ball room. But did you know that tucked away in the southwest corner of the BTSU is a pub? That’s right, the Black Swamp Pub, named after the famed Black Swamp where the current city of Bowling Green resides, is a fully operating bar and restaurant that caters to college student unlike any other bar in town. Obviously you still need to be 21 to order alcohol, but the overall environment is inviting to all students. I hate to admit it, but the Black Swamp Pub was the first bar I went to when I turned 21. Mainly because I thought I could buy beer with meal plan money, I was quickly told that you have to buy beer with real money, but still I had a good time. I remember I ordered a Killians with some friends. They have a pretty normal selection. They have Bud Light, Guiness, and Blue Moon on draft, and about 14 different bottles to choose from. They also have a limited number of wines and mixed drinks that they make. The Black Swamp Pub also has a decent selection of bar foods that you can use your meal money to buy. Burgers, nachos, pulled pork sandwiches, and wings are just of the few items they can make. The Black Swamp Pub isn’t a bad place to relax too, there a couple of TVs scattered around the place, along with 2 pool tables, and a boat load of events are hosted at the pub. The pub is only open till 11pm on each night, except for Sunday, which it is closed all day. At least once a month, Dr Michael Coomes hosts a beer tasting event that’s open to all students, faculty, and city residents over the age of 21. You can usually buy a ticket from the BTSU information desk and you get to sample some beer from whatever group comes in, or whatever the theme may be. Sadly the beer tasting events over for this semester, but I was able to attend the last on April 14th where I got to sample some Bell’s Brewery. Based out of Kalamazoo Michigan, Bell’s let a group of 40 or so patrons try 6 of their best beers. Im not going to tell you what I thought of them here, but you can see my reaction to Bell’s Brewery in my last post here. Beer Tasting with Bell’s Beer, Interviews with hosts. On Thursday April 14th, I went to my first ever beer tasting. 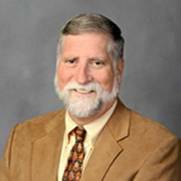 Bowling Green State University Associate Professor of Higher Education Dr. Michael Coomes has been hosting beer tasting events at the Bowen-Thompson Student Union since the new student union opened in 2002. 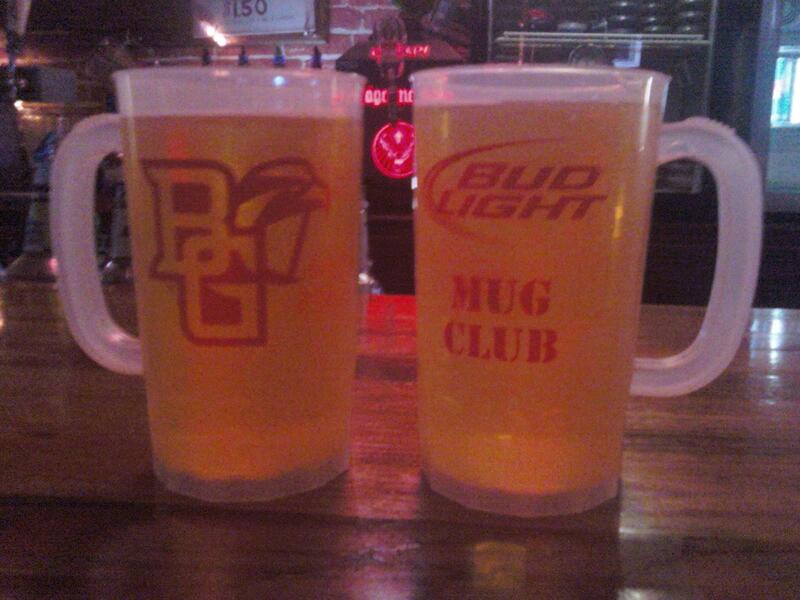 All the beer tasting events have taken place at the university’s Black Swamp Pub. 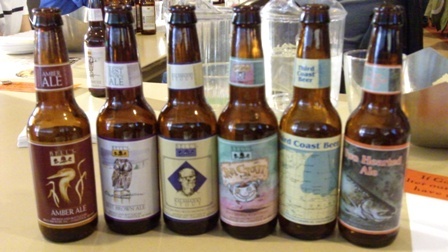 These were the six different beers I tasted at the beer tasting event. This was Coomes’s last beer tasting event of the semester and Coomes had Bell’s Brewing Company from Kalamazoo, Michigan as the highlight of the tasting. Bell’s is best know for their Oberon Ale, but that sadly wasn’t one of the beers being tested by the crowd of of over 40 students, faculty, and community members. For $13 I got to try 6 different kinds of beer that Bell’s produced. There was a good variety from Amber Ale to Third Coast Beer that offered different tastes of what the 25-year old brewery had to offer. Now I’m not of a big coffee drinker, let alone in my beer. But I tried to keep an open mind, but I hate to say I wasn’t a big fan of the Java Stout. But on the other hand, I really enjoyed their Best Brown Ale. A mix of Caramel and cocoa, the Best Brown Ale was my favorite beer that Bell’s had at the tasting. 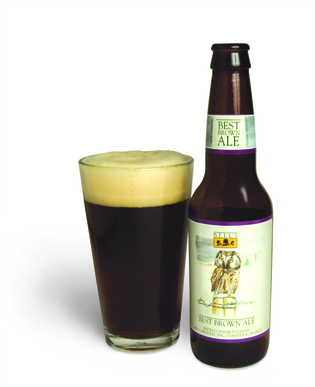 The beer had an excellent balance in its flavor, and balance is one of Bell’s Brewery’s keys to making a good beer. I did two audio interviews with two professors who are very involved with the beer tastings at the Black Swamp Pub. 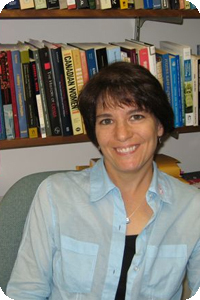 You already know a little bit about Dr. Coomes, who is the first interview, but in the second interview we hear from Dr. Rebecca Mancuso, an Associate Professor in History and Canadian Studies. Dr. Mancuso has been working with Dr. Coomes at these beer tasting events for the past couple of years. I hope you enjoy both of the interviews, and if you’re going to be back in BG next fall, and are 21, check out the beer tasting events. They are a lot of fun and I met a few new people in the process of tasting a few new beers. Cheers. First, lets start with City Tap. Located right near the corner of Main Street and Wooster, City Tap is a 21 and older bar after 10 p.m. City Tap is also a small restaurant which is open to the public from 3:00 p.m. to 2:30 a.m on Monday through Wednesday, and 11:30 a.m. to 2:30 a.m. from Thursday to Sunday. The Kitchen closes at 10 p.m. each night. City Tap’s selection of over 34 beers on tap doesn’t always stay the same. Owner Eric Pelham likes to keep rotating in new draft beers to keep the selection fresh for his patrons. They also have great deals at City Tap all week long, City Tap is open 7 days a week. My favorite mixed drink they have are their “Dragon Bombs.” For 3 bucks each Friday, you can have the Bacardi Dragonberry Rum and Monster mixed drink. Its my favorite mixed drink they have, and you should try it if you get a chance. But if you and your friends are in the mood to dance, then just head upstairs to The Attic. 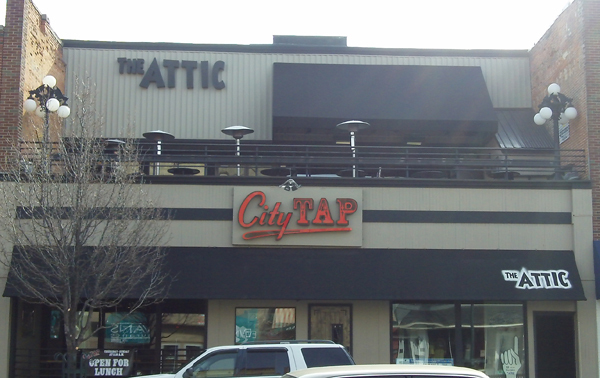 The Attic is an 18 and older dance club directly above City Tap. Open six days a week, closed Sunday, The Attic has one of the biggest dance floors in Bowling Green. They play the latest top-40 hits and hip-hop music, your typical dance club music. Now I’m not a big dancer, but one of the great things I love about The Attic is their two bars, one inside and one outside on their huge patio. 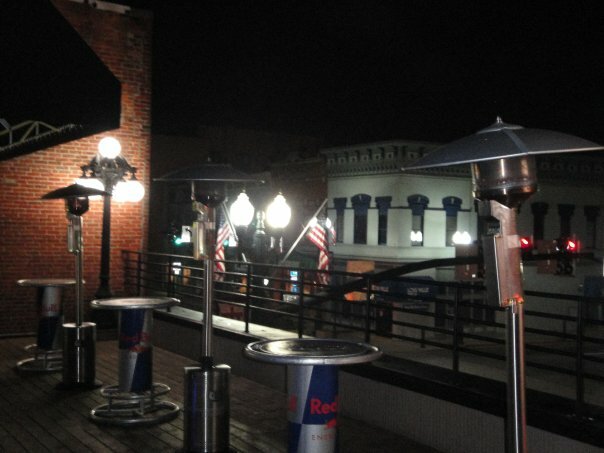 This patio is great during warm nights, but even on the colder nights you can still get a great view of downtown. Also like Uptown/Downtown, City Tap and The Attic have a themed night on Wednesday night, Country Night! So strap up your cowboy boots and your best flannel shirt and head over to City Tap for a fun night of country music and cheap beer. But like most big dance clubs in town, be prepared to wait in line to get in. Every time I head downtown to go to the bars, I always see a line outside the entrance to The Attic. Even though you have to wait in the longest line in BG, The Attic and City Tap are a great combination of great beer and good times. Howdy everyone, so I made this map so you can conveniently know where all the bars are in downtown Bowling Green. With as far north as Sky Bar to as close to campus with Ziggy Zoomba’s, the map should help you know a little bit about some of the bars you don’t know a lot about. The symbol of the Martini glass means its a bar or a club, if its a fork and knife then its also a restaurant. Because I’ve never made one of the maps before I recommend you zoom out once as soon as you look at the map, you should then be able to see all of the bars and resultants I highlighted. There is also a link under the map itself that lets you see it in a bigger window. All the pictures in the map were taken by Brendan Packert. Don’t forget to comment. Cheers! First off I want to thank everyone out there for continuing to read my blog. I’ve had over 300 views from over 24 states and in two other counties. I never thought that many people would ever read this thing. So last week I interviewed two bouncers from the Bowling Green bar and club Uptown/Downtown. Now what kind of blogger would I be if I didn’t tell you more about Uptown/Downtown? 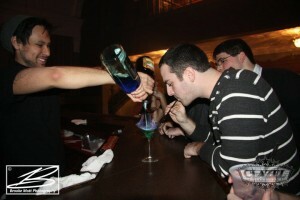 So this week’s post is about arguably the most dynamic bar and club in BG. 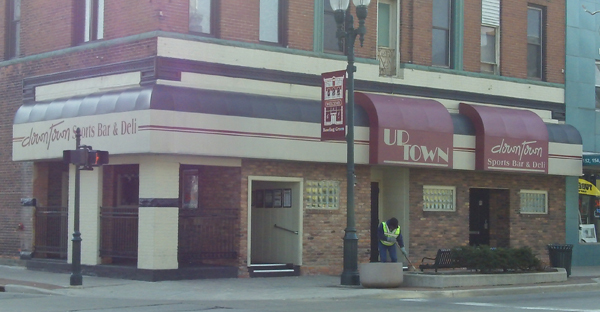 Uptown/Downtown is actually two bars in one if you’ve never been there. Downtown is a sports bar located on the street level at the corner of Main Street and Court Street. Downtown is home to almost 20 TVs which shows all the major sports games from Major League baseball to UFC on pay-per-view all week long. Downtown also have a few billiards tables and an air hockey table in case you and your friends just want to relax or if there isn’t any good sports games on the TV. Each place has their own bar, but if you and your friends are looking to go out and dance, then you should head upstairs to Uptown. Uptown is on the second floor of the same building as Downtown, but you can’t get to it from Downtown, you have to enter from a separate entrance outside. Downtown is only a 21 and older bar, but Uptown is 18 and up, so for all of the minors out there, sorry you can only go to Uptown, but both places offer great atmosphere. Uptown really has on the of the best week long schedules for any club in BG. On Monday nights Uptown has “80’s night” where you dance to all the classic hits of the 1980’s. They also play some 90’s music on Monday, but the good bulk is 80’s music. On Tuesday, most people call it “Gay Night,” and I mean no disrespect to that. Tuesday nights are filled with some great techno music and is highlighted with drag shows galore. Being a straight male, I went to gay night once my freshman year of college and had a blast. It was really a fun and eye-opening experience. It is a must do if you’ve never gone. So don’t hate, participate. Wednesday night is dubbed “Goth” night. But Uptown calls it “rewired.” But it’s all the same thing. All night long you’ll hear some of the heaviest rave and industrial music. You might go deaf by the end of the night, but it’s definitely worth it. Plus there is no cover on Wednesday! For the rest of the week, Thursday through Saturday, Uptown plays hip/hop, R&B, and top 40 hits all night long. 21 and up don’t pay cover from Thursday-Saturday. So no matter your taste in music, nearly every night offers something for everyone. How many other bars have that kind of variety? (Not a lot). But what would a bar blog be without talking about some booze? One of the things I like about Uptown/Downtown is their “Shot of the Month.” Each month Uptown/Downtown come out with a new $2.50 shot of the month. Being April 1, (and I’m not pranking anyone on this) the shot of the month for April is a nerds shot. Now, I’ve never had one, but I’m definitely looking forward to trying one. I had their March “Shot of the Month,” Little Green Men, and it was definitely worth the price. For all of us who love going to bars, you know the staff at bars is usually pretty small. Bartenders tend to be the marquee faces you see, but other people are the doorman, a DJ or band, and the bouncer. Most people who go to a bar will see a bouncer, but a good majority of us won’t have to deal with them because most of us are responsible drinkers. But for almost every good drinker there’s a bad one. Bouncers have a terrible reputation of being mean to patrons and throwing out loud drunks. But bouncers aren’t there to be mean to the patrons or to just toss out anyone they don’t like. Bouncers are there to protect all the patrons at the bar or club in case some things get a little out of hand. I recently sat down and talked to two bouncers at the Bowling Green club Uptown/Downtown. First we meet Phil Zacharias, a bouncer for four years who is very humble about his job. “We really are just glorified bus boys,” Zacharias jokes. But it’s true. Most bouncers will spend the majority of their time at work going around and cleaning up empty beer bottles and taking out the trash. “You have to have a lot of patience when you’re a bouncer; most of the people you are dealing with are drunk. 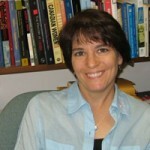 It helps to be a little big, and you need some tolerance with people,” Zacharias said. One of the biggest problems bouncers face surprising isn’t fights but underage drinking. Some nights Uptown/Downtown is an 18 and older club so bouncers are always on the lookout for illegal drinking. Fights are the only other problem bouncers have to deal with. Usually they can just separate the two or three people fighting without a problem. Zacharias says they don’t usually get the police involved in fights unless it’s more than 10 people. Usually they only call the police for underage drinkers. Clark was a little more up front when asked what he thought was the worst part of his job. “Worst part of my job; cleaning up puke. Some people just hold down their booze,” Clark said. There’s one thing both Zacharias and Clark have in common, they both enjoy meeting new people while bouncing. “At the same time, being a bouncer you get to meet new people all the time and it’s kind of fun to watch some of the people drinking.” Zacharias also loves telling his friends how they acted that night the next day. Bouncers aren’t allowed to drink on the job so they get to spend the whole night sober in the same atmosphere as everyone else, but they’ll remember everything. “I love meeting new people each night, a lot of the people that come here are friendly, so everyone has a good time,” Clark said. Bouncers tend to get a bad reputation, but they are just doing their job. “Most people when their drinking don’t realize how good we really are, but when they sober up they’ll know we aren’t as bad,” said Clark. “Were just doing our job, and we are just making sure you’re not ruining anyone else’s night. We just want everyone to have fun and be safe,” Zacharias said. I can say I’ve never been thrown out of a bar, nor would I ever try and start a fight or anything like that. People want to go out to bars to have a fun time, and bouncers are supposed to be there to make sure everyone is having a good time. So don’t be one of those jerks that goes out and picks fights at the bars, and if you have to deal with a bouncer just do what they say, because usually, the bouncer can toss you out on the street faster than you can blink. If you want to know more about Uptown/Downtown, check out next weeks blog on Uptown/Downtown or follow the link to their website here. That’s all for this week, thanks for reading, and don’t forget to comment. Cheers all! If you ever want to go out drinking in a historical atmosphere then the CLA-ZEL is the place for you. 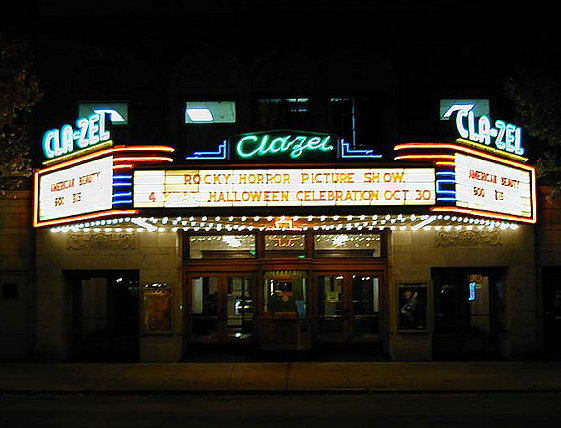 You may not realize it but, The CLA-ZEL is Ohio’s oldest single screen movie theater, it opened in 1926. Since 2000, the ownership has changed hands a few times, but the CLA-ZEL is now owned by Ammar Mufleh, who bought the place in 2008. Mufleh has successfully turned this one screen theater into a fantastic dance club and bar. The CLA-ZEL has over 50 beers on draft and enough mixed drinks to make your head spin. They even have drinks that catch fire like the Flaming Lamborghini. I’m too scared to try it but this guy had the guts. Its the friendless of the bartenders that only adds to the excitement and environment at CLA-ZEL. But like I said earlier, the CLA-ZEL is one of the premier dance clubs in Bowling Green. Although they sometimes have local musicians that come in and play, usually they play club music that can get anyone dancing. I’m not really much of a big dancer, but if the right song comes on you might see me on the dance floor. It seems every weekend the CLA-ZEL has DJ Manny come in and play some great club music. Don’t forget to comment! Cheers all!